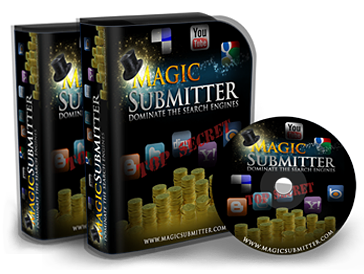 Watch How Magic Submitter Pushes You To The Top Of Google, Sends You Qualified Traffic, And Gives You More Customers… All On Autopilot. Articles, Videos, Blogs, And Press Releases To Over 500 Sites And Gives You 1000’s Of Backlinks Automatically…. Plus You Can Instantly Add 100’s Of Additional Sites. My name’s Alex Krulik, and over the last 15 years of software development I’ve had the privilege of helping 1000’s on online marketers grow their business and rank at the top of Google. Whether you’re using videos, articles, blogs, bookmarking, RSS feeds, or even forums to market, Magic Submitter will do it all for you. 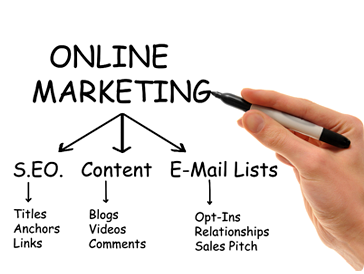 You’ll finally experience the success that only internet marketing experts can get because you’ll have a 100% GUARANTEED way to get to the top of Google. Magic Submitter levels the playing field and gives you the ability to drive thousands of new customers to your website 24 hours a day, seven days a week. You’ll get your site ranked at the top of Google 10x faster than you normally would. PLUS ADD 100’S OF ADDITIONAL SITES WITH JUST A FEW CLICKS OF YOUR MOUSE. State of the art Software that allows you to create and syndicate 1000’s of backlinks on autopilot. Submit your content to over 2000 sites. Engage in Magic Submitter’s interactive forums where some of the worlds’ most talented and successful SEO Marketers interact. Take advantage of our customer support desk to help make sure you can leverage the power of Magic Submitter. You never have to worry about services that need updating because each month we provide you with new features, updates, and services to make sure your software is state of the art. Each month we hold a FREE LIVE Coaching Call to answer all your questions and give you updates on the latest trends and strategies to dominating your market online. We have over 60 trainings on everything from Press Release marketing to Video optimization and everything in between. You have full access to all our VIP and archived trainings. OK, So How Much Is It? 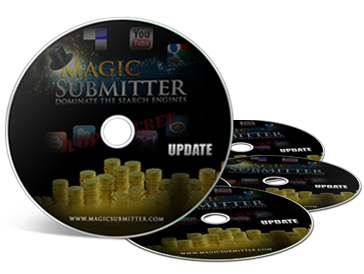 Your Purchase of MAGIC SUBMITTER Comes with a full guaranteed 100% Money Back Guarantee! Try it, see send 1000′s of backlinks to your websites and if it doesn’t 100% help you dominate your market online, then return it for a full refund. 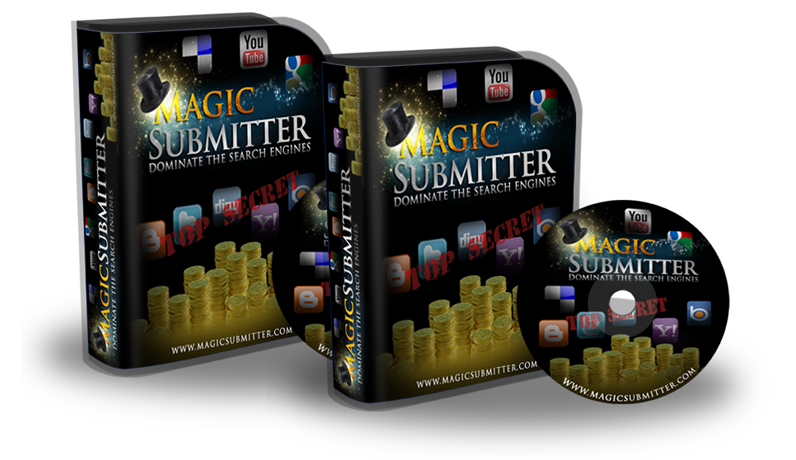 Magic Submitter: State of the art Magic Submitter Software that allows you to create and syndicate 1000′s of backlinks on autopilot. FREE Interactive Forums – Engage in Magic Submitter’s interactive forums where some of the worlds’ most talented and successful SEO Marketers interact. FREE Support Desk – Take advantage of our customer support desk to help make sure you can leverage the power of Magic Submitter. FREE Software Updates – You never have to worry about services that need updating because each month we provide you with new features, updates, and services to make sure your software is state of the art. FREE Live Coaching – Each month we hold a FREELIVE Coaching Call to answer all your questions and give you updates on the latest trends and strategies to dominating your market online. FREE Video Training Vault – We have over 60 trainings on everything from Press Release marketing to Video optimization and everything in between. You have full access to all our VIP and archived trainings. P.S. 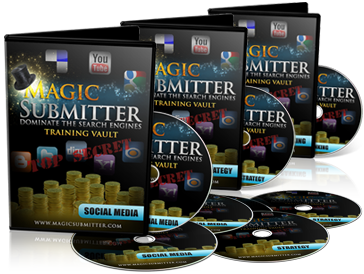 Sign up for The “Magic Submitter” today, and you’ll get a $330 “Early-Bird” discount on your annual membership. It’s a small investment that could pay for itself many times over (remember, you could have thousands of articles, blog posts, bookmarks and videos dominating your Niche on the Internet your first year as a Niche Marketer… or more if you’re willing to put in a little more effort). This site and the products and services offered on this site are not associated, affiliated, endorsed, or sponsored by Google, Facebook, Twitter, Yahoo, or YouTube, nor have they been reviewed tested or certified by Google, Facebook, Twitter, Yahoo, or YouTube.